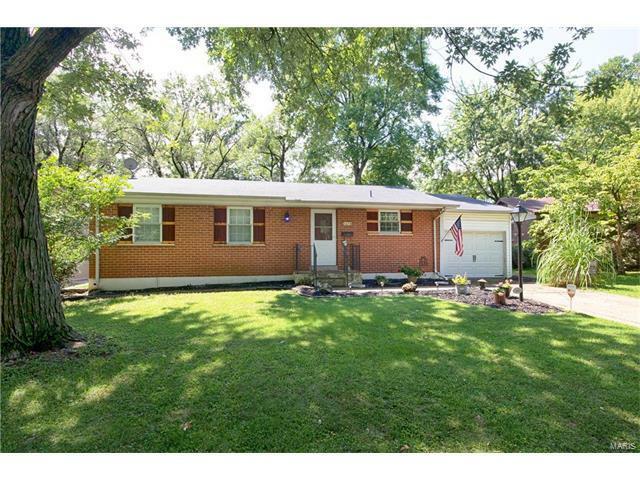 HAZELWOOD BRICK RANCH! $20K reduction! MOTIVATED SELLERS! This 3 bed, 2 full bath home is ready for you to call 'home'. Floor plan was expanded to make a large living room with bay window to enjoy the natural light from backyard. Kitchen features oak cabinets, breakfast bar, island, designated microwave shelf to give you an abundance of counter space. Refrigerator stays with home! Master Bdrm is in the back of the home with a full bath attached. LL is partially finished but has been used for storage. Plenty of room to make added living sq ft. The fenced in level backyard has a shed for extra storage and covered patio to sit and enjoy the weather. Take a look, today! Walking distance to elementary school! Don't wait!